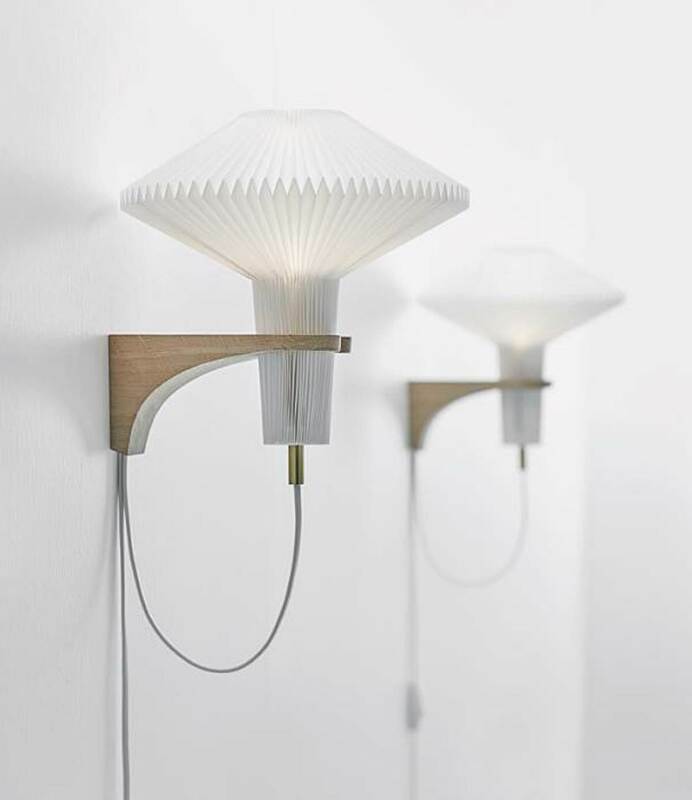 This beautiful wall lamp was created by Vilhelm Wohlert in 1957 for the honorary residence in Copenhagen of Nobel Prize winner Physicist, Niels Bohr. The pleated shade is hand-folded by our Pleating Technicians in Odense _and the wall mount is made of untreated light oak. Vilhelm Wohlert's classic has been named The Mushroom.